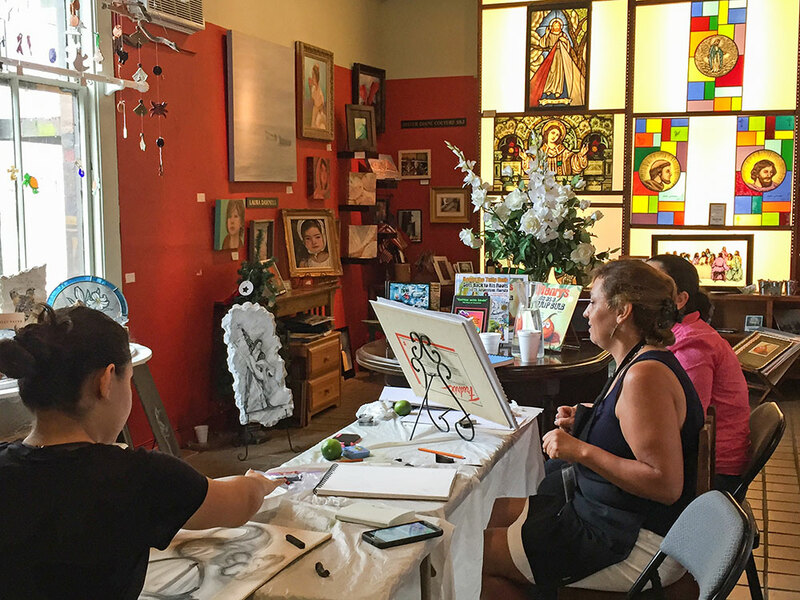 An art gallery in the heart of Aviles Street. 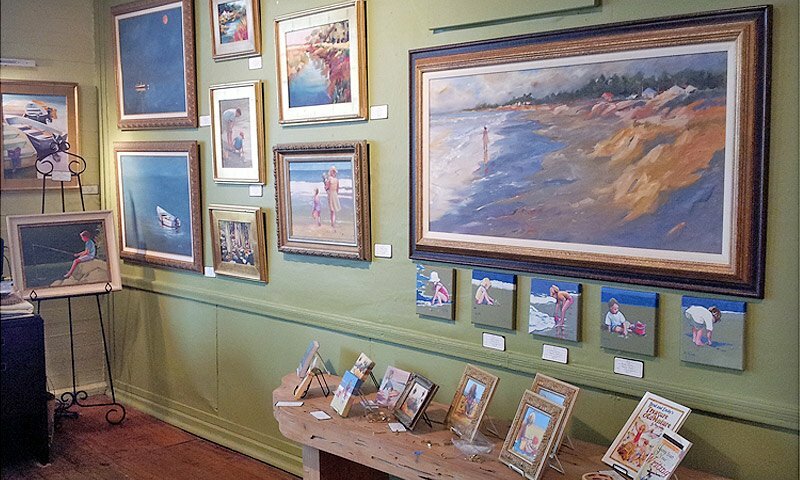 Georgia Nick Gallery is the place to find the work of numerous St. Augustine artists. The gallery itself is situated on Aviles Street, a well-preserved piece of the city's heritage, paved with bricks and lined with many quaint shops and sidewalk cafes. It is an excellent environment for producing, sharing and appreciating quality art. Georgia Nick Gallery holds many special events throughout the year, featuring not only regular local artists but guest artists as well. 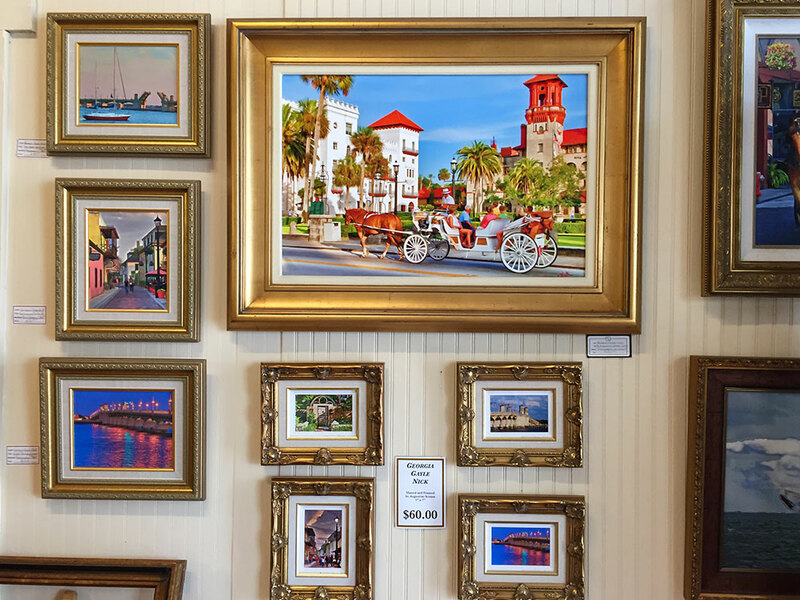 Paintings and prints are both available, and many of the works feature St. Augustine scenery including the Lightner, the Bridge of Lions, the Casa Monica Hotel, and more. 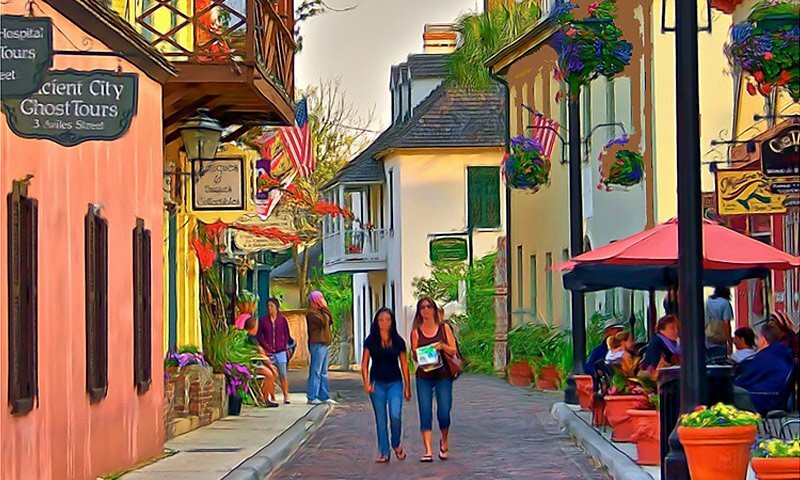 It's a great place to find a personal gift to remember a St. Augustine vacation. The shop is closed on Tuesdays unless there's a class going on. A wonderful Gallery and Miss Gail and Joe (The Owners) Couldn't be nicer. This couple makes you welcome are extremely kind and very knowledgeable. The Art in This Gallery is well displayed and the artist extremely talented A must see. Clarence & RayE'tta.